There are currently 33,669 users on this website. 1906 Large Cent Missing Copper Or? Something spilled on it .. it is above the surface. If so, and since this is not a plated coin, some foreign substance must simply have eaten away and discolored this small area. Pay close attention to the colour of the rim adjacent to that area... something pretty harsh has affected that coin (post-mint). It can't be "missing copper". 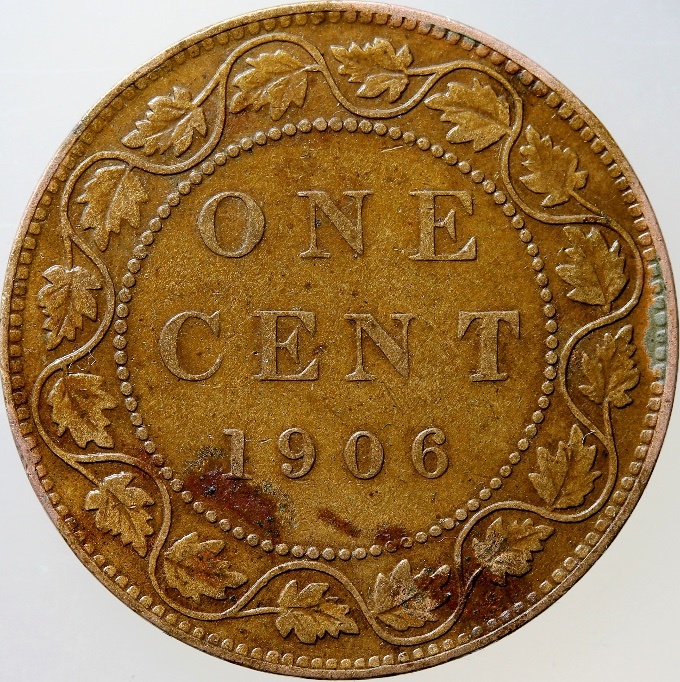 The composition of the 1906 cents was an alloy of 95% copper, 4% tin, 1% zinc. No Canadian cents were clad or plated until the late 1990's I believe. 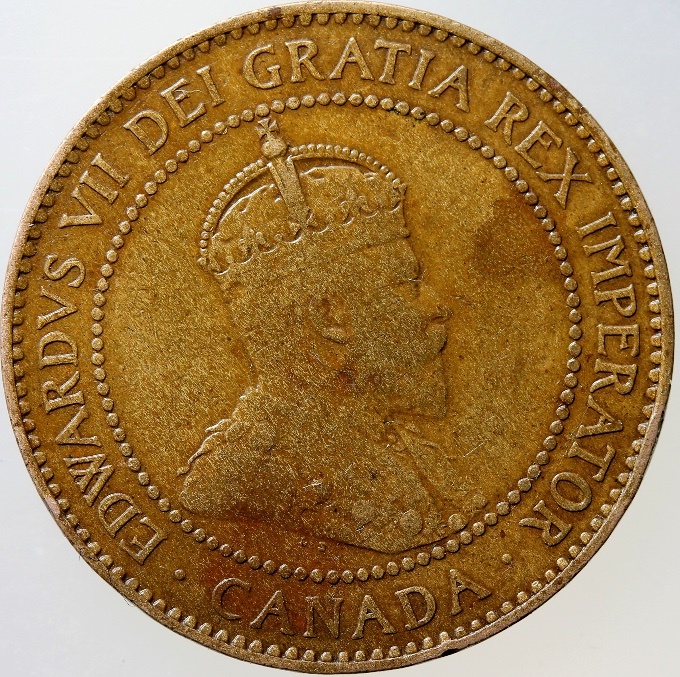 There's a line on your coin where you can see the metal has been eroded away. That coin saw a lot of action and cleaning and bad guck, I mean bad luck, over the years. The edge discolouring looks like a bit of salt corrosion, common on the streets of Canada in the winters, or any other corrosive material it could have come in contact with in the last 100 years. Thanks for your comments as I had to make sure it was damaged by acid or something else. 1984 Mint Set. Was This The Only Year For These Special Strike "coins".